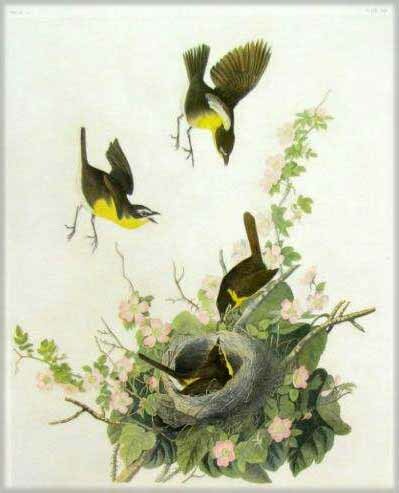 The Bien edition, issued by Audubon’s artist son, John W. Audubon, was the first attempt to reproduce the birds life-size. 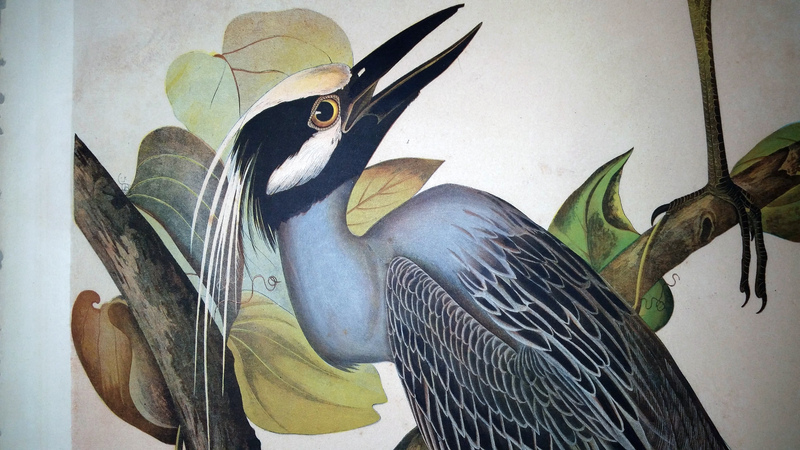 It was undertaken by Julius Bien in New York as a chromolithographic work and involved the transfer of the images from the original plates to stones. The outbreak of the Civil War prevented completion, and only 150 images on 105 plates were produced by Bien during the years 1858, 59, and 60. The sheets with one image measure about 26 x 38 inches, the same size as the Havells. However, instead of placing one small bird on a large sheet, two small images were printed on each sheet in the Bien edition. This work was a major achievement in chromolithography at this time and the Biens are actually scarcer than the Havells, and of course all the work was done in America. The exact number of the Bien editions is unknown, but it is thought to be between 50 and 100. Listed below are those prints which consume a full sheet; later in the listing the double sheets with two images; and next, those small image sheets which have been halved. The half-sheets are about 18 x 25 inches. 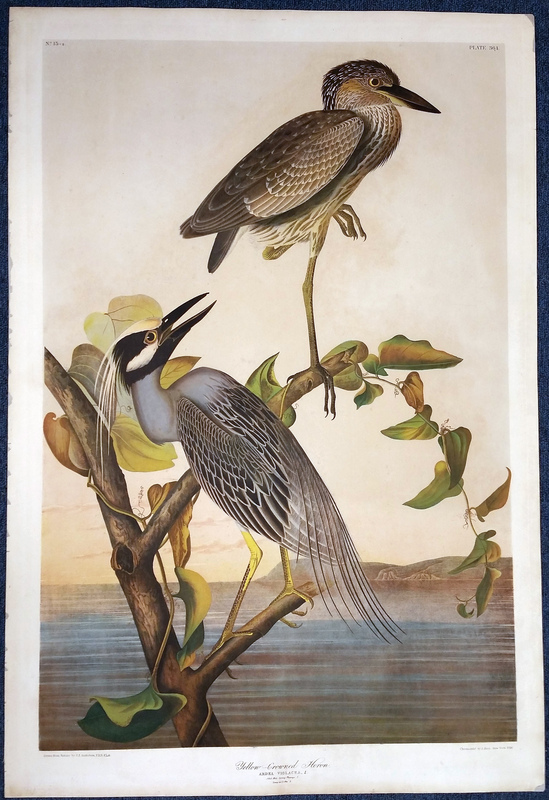 Further, the Biens have no watermark although in most cases Bien’s name appears on the print.In the Fall of 2012, Joel Oppenheimer, of Oppenheimer Inc. in Chicago, published a reference book on the Bien Edition (1858-1860) titled The Birds of America: The Bien Chromolithographic Edition. This important book contains new information on the Bien edition and for the first time reproduces all of the Bien prints in striking color. Collectors of Bien prints should have this book in their library. It can be purchased through this website or directly from Oppenheimer Inc. 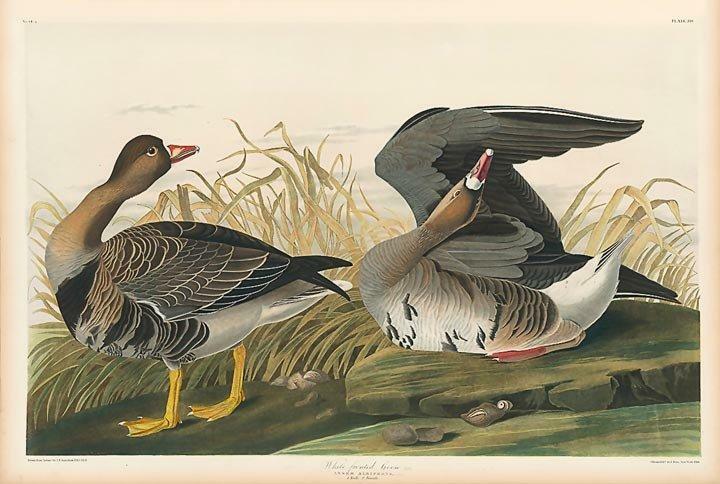 Plate 380 - WHITE-FRONTED GOOSE - Wide spread goose, typical Audubon pose, dated 1860.